Organic Deals. Green Steals. 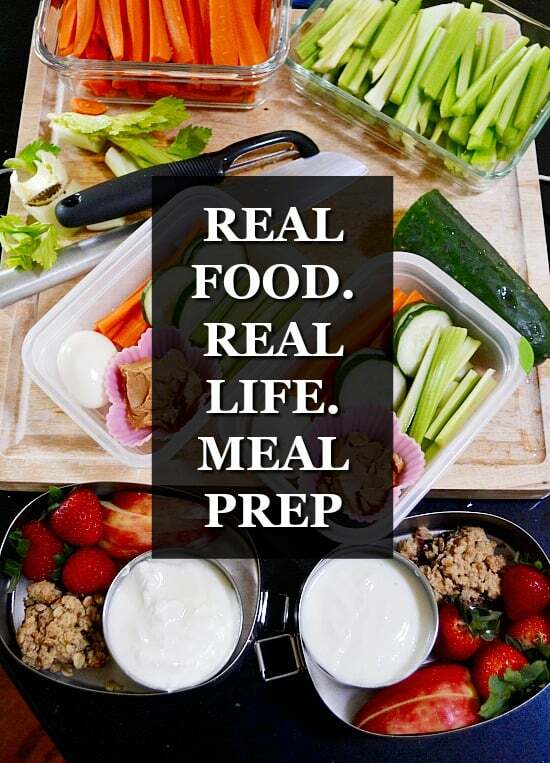 Real Food Meals. 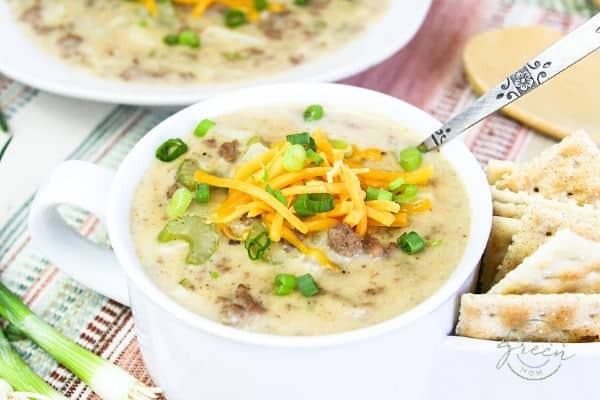 This recipe for Cheeseburger Soup is a HUGE family favorite! 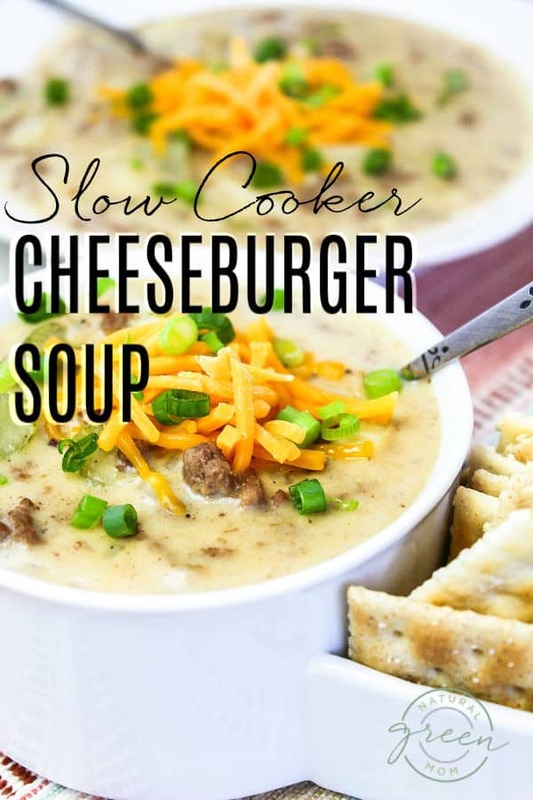 Even if you aren’t following my meal plan, you must try this recipe for cheeseburger soup! My daughters ask me to make this all the time, and if you are having a bunch of kiddos over, this is one recipe that you can feel good about serving. They will gobble it up! There are two ways to prepare this soup recipe. First, cook it on your stovetop like a traditional soup. Or, if you are strapped for time, you can cook it in the slow cooker. I’ll put this in the slow cooker first thing in the morning. Then, when we get home from our show, all I have to do is toss a big salad and dinner is served. It’s basically dinner and the movies but you only have to pay for the matinee! Winning! I didn’t add it to the recipe, but if you are a pickle lover, try chopping up some dill pickles and stirring them in! It just adds so much to that cheeseburger taste! Melt butter in a large saucepan. Add onion and saute until translucent. Add diced onions, potatoes, water, salt, pepper, and celery. Bring to a boil. Reduce heat and cover. Simmer for 15 minutes. While soup cooks, brown ground beef. Drain. Whisk the oat flour into the milk until smooth. Add to soup, stir constantly, and cook until thickened. Add ground beef and shredded cheddar. Serve. SLOW COOKER INSTRUCTIONS: Brown ground beef in skillet on stove. Add onions, potatoes, water, salt, pepper, celery and ground beef to a slow cooker. Cook on low 6-8 hours. Whisk oat flour into milk until smooth. Add milk mixture and cheese to slow cooker. Stir and cook an additional 30 minutes. Don’t eat meat? The base of this recipe is just a potato soup – so leave it out. Then it becomes a meatless main. The links in this post may contain affiliate links and I will receive a small commission if you make a purchase after clicking on my link. Just made this! It is so yummy, and super quick and easy to make! Thanks for sharing! (oh and I may have thrown a few of the croutons on top…made it extra good lol). I forgot to mention that I made it with ground turkey instead of beef…and it was still so good! Is the oat flour necessary? Can I just use regular flour? 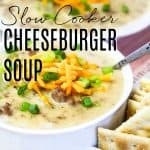 How do you modify the directions if you putting it in the crockpot? Can I dump it all in at once (after browning the hamburger of course)? Or do I still need to add certain ingredients at certain times? This site is a participant in the Amazon Services LLC Associates Program, an affiliate advertising program designed to provide a means for sites to earn advertising fees by advertising and linking to amazon.com. Your purchase helps to support this site. Thank you. *You want to eliminate toxins from your environment. *You purchase organic food and products. *Meals at your house consist of real food - not processed ingredients. *You buy coconut oil in bulk. *Garlic is used in cooking and your natural remedies cabinet. Not sure how to become a Natural Green Mom? I'm Andrea, and I'm here to help.